Conor Henderson is an assistant professor of marketing at the University of Oregon's Lundquist College of Business. He joined the UO in 2013 after completing his PhD at the University of Washington's Foster School of Business. He remains connected to the UW as an affiliated researcher at their Center for Sales and Marketing Strategy. He teaches and researches marketing strategy with an emphasis on firms' strategies and tactics aimed at building enduring customer relationships. His research aims to uncover areas where firms go wrong and identify opportunities to increase customer value and financial performance. Through a multi-method approach, he investigates the strategic trade-offs across customers and over time in retail, service, sports and entertainment, and business-to-business contexts. His research has been published at the Journal of Marketing (2019 article, 2018 article), Marketing Science (article), the Journal of the Academy of Marketing Science (article), Journal of Consumer Psychology (article), the Journal of Personal Selling & Sales Management (article), in the book The Connected Customer (book), and in the Marketing Science Institute’s Working Paper Series (MSI report 17-123, MSI report 16-109, MSI report 14-121 Robert D. Buzzell MSI Best Paper Award winner, MSI report 13-120, MSI report 12-111). Please see his CV for more information and contact him by email. 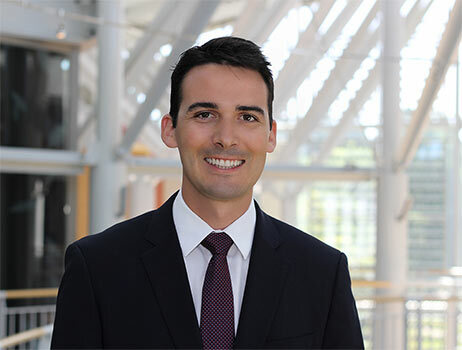 A recent study coauthored by assistant professor of marketing Conor Henderson offers insights to managers to identify customer types for which engagement helps, hurts, or has mixed results. The inaugural Warsaw Sports Business Analytics Symposium brought together students, instructors, and professionals to discuss emerging applications of business insights and analytics for the sports industry. Beck, Joshua T., Colleen Harmeling, Yashoda Bhagwat, and Conor Henderson." Economic Inequality, Trust, and Brand Leadership." Marketing Science Institute, 16-109. Watson IV, George F., Joshua T. Beck, Conor M. Henderson, and Robert W. Palmatier. "Building, Measuring, and Profiting from Customer Loyalty." Journal of the Academy of Marketing Science 43, no. 6: 790-825. https://doi.org/10.1007/s11747-015-0439-4. Lee, Ju-Yeon, Shrihari Sridhar, Conor Henderson, and Robert W. Palmatier. "Effect of Customer-Centric Structure on Long-Term Financial Performance." Marketing Science 34, no. 2: 250-268. https://doi.org/10.1287/mksc.2014.0878. Henderson, Conor M., Lena Steinhoff, and Robert W. Palmatier. "Consequences of Customer Engagement: How Customer Engagement Alters the Effects of Habit-, Dependence-, and Relationship-Based Intrinsic Loyalty." Marketing Science Institute, 14-121. Carter, Robert E., Conor M. Henderson, Inigo Arroniz, and Robert W. Palmatier. "Effect of Salespeople's Acquisition-Retention Trade-off on Performance." Journal of Personal Selling and Sales Management 34, no. 2: 91-111. https://doi.org/10.1080/08853134.2014.890903. Watson IV, George F., Joshua T. Beck, Conor M. Henderson, and Robert W. Palmatier. "Unpacking Loyalty: How Conceptual Differences Shape the Effectiveness of Customer Loyalty." Marketing Science Institute, 13-120. Lee, Ju-Yeon, Shrihari Shridhar, Conor M. Henderson, and Robert W. Palmatier. "Effect of Customer-Centric Structure on Firm Performance." Marketing Science Institute, 12-111. Henderson, Conor M., Joshua T. Beck, and Robert W. Palmatier. "Review of the Theoretical Underpinnings of Loyalty Programs." Journal of Consumer Psychology 21, no. 3: 256-276. https://dx.doi.org/10.1016/j.jcps.2011.02.007.